In a surprising turn of events, Lenovo has released official pricing information on its ThinkPad Tablet 2, the same tablet that is expected to be running Windows 8 Pro. This is surprising because PC makers don’t typically release this kind of information on models that have yet to be released, at least not without having a few teeth pulled first. According to the company, the new tablet will have a launch day price scheme of $799 when it comes out on October 26, the same day as the Windows 8 operating system. This price will also include a keyboard, which could tip the balance of the scales in favor of Lenovo as opposed to Microsoft’s Surface tablet. The Surface tablet is predicted to be cost $799 with an additional $199 for its keyboard cover. There is also the possibility that you may be able to buy the ThinkPad 2 without the keyboard, saving you $100 to $200. However, this is in line with Microsoft’s presumption that Windows 8 Pro tablets will compete in price more with Ultrabooks than with consumer tablets. 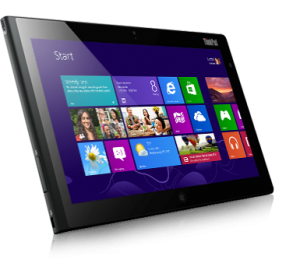 Additional specs for the ThinkPad Tablet 2 include a 10.1″ IPS display with 1,366×768 resolution as well as a full version of Office 2013, with the processor rumored to be an Intel Atom Clover Trail running at 1.8GHz. In addition to that, there are optional docks that provide an Ethernet port, 3 USB ports and an HDMI out port. 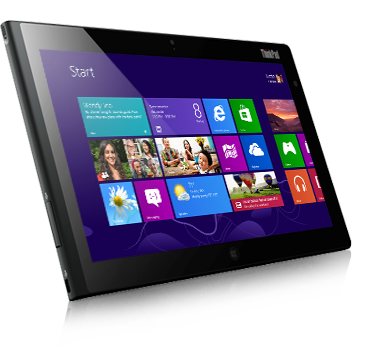 The clear marketing theme, at least with the ThinkPad Tablet 2, is that users will prefer the slimness and mobility of the slate over the mobility of a laptop, even if they don’t get all the features and usability that they would have if they chose to lug around an Ultrabook with them everywhere they go.